As an alumni of the University of Pennsylvania, Dr. Jessica Meier brings an abundance of beneficial experience to our office for the last 4 years. She is a kindhearted, caring person and an accomplished and outstanding dentist- a great blend to match the style and energy of Dr. Cirka’s office. Her personality is exceptionally similar to his. Treating each patient as if they are a family member is one of the many ways Dr. Meier prides herself in her work. She is frequently told by patients that her compassionate and pleasant demeanor helps them feel at ease. Her ability to deal with any dental matters in a calm state of mind only heightens the overall care she provides. Whether seeing Dr. Meier for a routine exam or a cosmetic procedure, you will feel completely relaxed in her care. 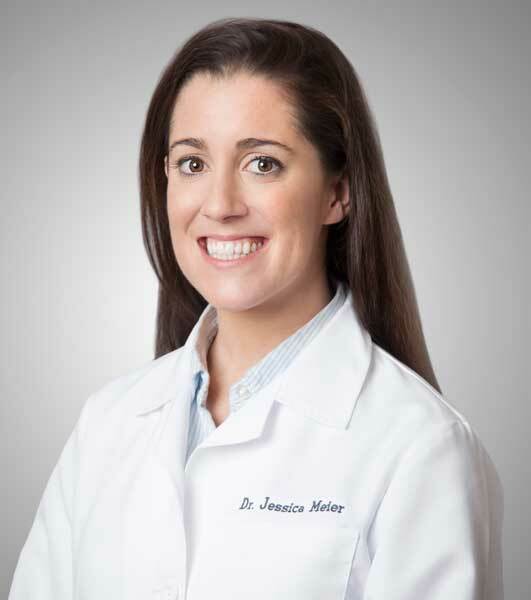 Dr. Jessica Meier completed her undergraduate work at Barnard College, Columbia University and grew up in Bergen County, NJ. While at Columbia she earned her Bachelor’s degree in Neuroscience. After college Dr. Meier worked for Physiology and Medicine Nobel Laureate, Dr. Richard Axel. Volunteering has always been close to Dr. Meier’s heart and during this period she also volunteered at dental clinics in underserved areas of New York City, Nicaragua, and the Dominican Republic. She then received her dental degree from the University of Pennsylvania. Dr. Meier is involved in continuing education courses to ensure that she is up to date with the latest advancements in all aspects of dentistry. She is also deeply active in the community and donates services for children and adults in underprivileged communities. Dr. Meier’s hobbies are spending quality time with loved ones, traveling, making meals with her husband Damian, and taking her Boston Terrier, Ponzu, to the local dog park. She has an identical twin sister, Kristen, studying to be an orthopedic surgeon at Mount Sinai, New York City, and an older brother, Eric, teaching history in Harlem, New York City. She is supported by caring co-workers, friends, and family.